I always go on about all the treasures one get to discover when road tripping. 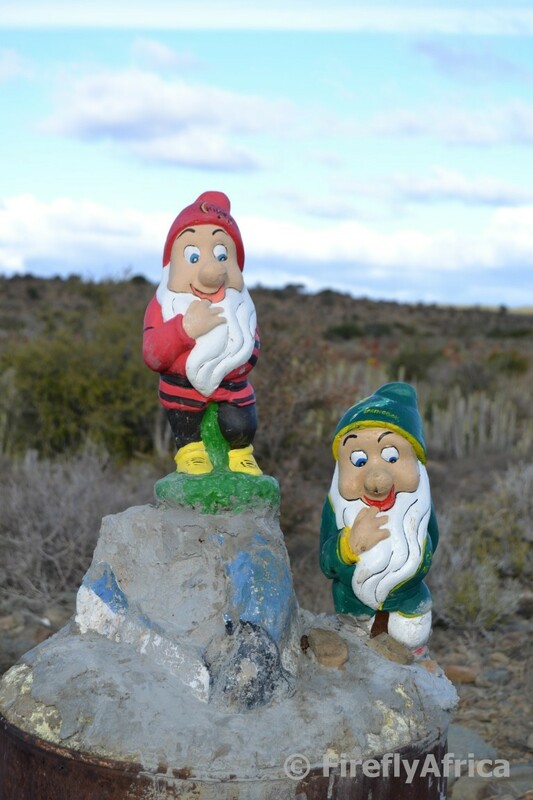 Well known landmarks, inadequately marked but well worth taking turnoffs, interesting attractions, beautiful views, fascination people, lekker food, unusual sights and so much more. Driving back to Port Elizabeth from Graaff-Reinet the other day I passed through the town of Jansenville and a few kilometers outside of town spotted something from the corner of my eye. My head swung to the right and I had to make a double take. Was that a garden gnome I just saw next to the road? “Full stop, Mister Chekov.” Or Mr Sulu if you’re still an old school Trekkie fan. Sharp turn to starboard, u-turn made and back for a closer look. And no, I wasn’t mistaken. Two garden gnomes sitting on an old drum next to the road, one in Springbok colours and the other wearing the Southern Kings colours, watching the traffic go by. 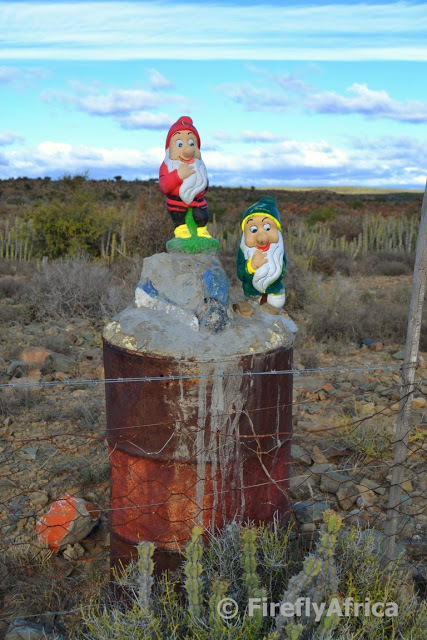 I seem to remember reading something about a gnome that used to sit around here that was broken off by some passing idiot, so this must be the spot and they’re probably his replacements. Two, so that they can keep each other company and chat about rugby and the weather.